Rei asks: On the subject of fairies, do you think there are wildly different beings in different parts of the world with different 'rules of engagement' as it were? I've had some experiences here in Appalachia that do not seem to hold to the same rules like for example apologizing/thanking seems OK even polite depending who you're dealing with. My answer: wildly different no, but different yes. I think we can find beings throughout the world that might fit the wider definition of what we would call in English 'fairies', that is Otherworldly beings that come into our world and follow specific patterns of behavior including interacting with humans in specific ways. When it comes to the etiquette I like to compare it to human culture. If you travel around the world what is good manners in one place may actually be rude somewhere else, so it's always good to try to learn the local customs as it were. Rebecca asks: Do you have any fairy resources that are not Irish? 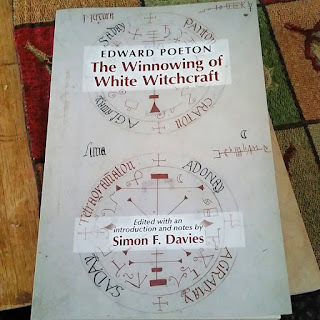 I have some Scottish based books that I got from your bibliographies but can't find much on Welsh or general British. David asks: In old Irish tradition the good people like the finer things which were available at the time; cream, butter, meat and so on. If we accept for arguments sake that they exist in a different time realm, so to speak, then would you say that today's offerings should now also be the finer things available to us, such as champagne, fine wine, delicacies and so on? Maggie asks: Are there any references to Brighid and fairies? Pamela asks: I know there's lots of theories as to why they dislike iron, l was wondering what your personal opinion is about why they dislike it so much? My answer: my personal theory is that iron is very grounding and disrupts their magic. They avoid it because it reduces their ability to effect the world and control things and may also be directly harmful to them. Rev. Kirk theorized their bodies were partially made of energy and if he is right then a grounding material like iron might physically harm them. Although I'm starting to wonder if it may not be a more straightforward and literal allergy to the metal, but I also tend to believe they are or can be physical beings as much as tehy are or can be non-physical beings. Eliza Marie asks: What are your thoughts on comparisons between older accounts of encounters with the Gentry and modern day "alien abduction" experiences? My answer: I personally think that alien encounters are modern interpretations of fairy encounters. I think that as humans stopped believing in fairies as real powers who were dangerous and could take people, and started to believe in dangers from other planets we start to see fairy abductions and encounters shifting into alien ones. Since fairies have always been known for using glamour to effect what humans see and perceive it would make sense that humans expecting outer space monsters would get them. Kathryn asks:Do you have an suggestions for further research on Yeats and the Fellowship of the Four Jewels? 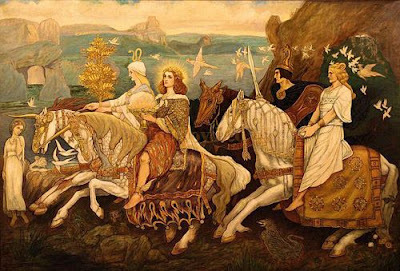 Pamela asks: In the remscéla where the Morrigan meets Cuchulainn and has the one legged horse with chariot pole sticking through it's head, do you have any idea what that description is supposed to translate to the reader other than super otherworld weird? My answer: The Tain Bo Regamna is one of my favorite stories. Often in mythology we see one eyed, one limbed beings as symbolic of cthonic forces - for example the Fomorians are described this way in some instances. We also see the corrguinecht or crane-wounding-magic being done in a position of standing on one foot with one hand behind the back and one eye closed. To me this indicates that not only is the horse clearly Otherworldly but it is also rather ill-aspected, either cthonic in nature or sinister. I suspect a person hearing the story told would have immediately identified this description with a being that is unsainly or otherwise of a dangerous Otherworldly nature, foreshadowing what happens later in the story. It was recently brought to my attention on social media that not everyone may understand exactly what a royal court is or how one functions, and specifically how this relates to the fairy courts. Today I want to address this issue and try to offer some clarity on the subject for anyone who is curious. It's important to understand that when we talk about fairy courts we may be talking about two distinctly different things. This double meaning and usage comes from the Scots language where the word court means both a group attending on royalty and more generally a group or company. Because much of our fairylore about the courts in a general sense comes from the Scots speaking areas of Scotland this double usage of the word has found its way into modern fairylore, but a lack of understanding of the language means the nuance may be lost. Firstly the term fairy court is used as a general term to define an entire group of fairy beings, and by that understanding it's nature is very broad. When we talk about the Seelie Court (or it's antithesis the Unseelie Court) we are not talking about a specific royal court, but are using the term in that second general sense for all types of beings who may owe allegiance to the monarchy of that court, the Queen of the Seelie Court or Nicnevin who is reputed to be Queen of the Unseelie. However all beings with such allegiance are no more members of the royal court itself than all people in England are members of the English royal court. When we say they are part of the Seelie court we are using the term very generally, and that is probably the more common usage we find. The idea of this general use of 'Seelie court' started as a euphemism, a way to refer to all fairies in a positive manner which is why it is so intentionally inclusive. The second way the word can be used, the first definition, relates to the specific group of beings who would attend or serve a Fairy Queen or King; we see this use in ballad material and in some anecdotes. That gets us into what we are going to be addressing in depth here, the Fairy court as a royal court of Fairy. In that case we are talking about a very specific grouping of individuals around and related to the Fairy royalty of a place. With this use of court we swing from overly broad to very particular, as you shall see. A royal court, fairy or mortal, is set up in roughly the same way and represents - effectively - the royal household. The royal court would include the ruling monarch, their immediate family, royal advisors and counselors, courtiers*, court officials (such as the chancellor, purser, and chamberlain), entertainers, body servants and some servants more generally, ladies-in-waiting, courtesans, knights, heralds, doorkeepers, cupbearers, ushers, grooms, huntsmen, and clergy (Pattie, 2011; C& MH, 2014). Ladies-in-waiting were usually the wives of nobles attending court (effectively courtiers) or sometimes widows of such nobles who had the task of keeping the Queen company, entertaining her, and keeping her up on the general goings-on at court as well as what was essential gossip. The Queen would also have maidservants or handmaidens who were not nobility and were servants in truth that would handle her personal needs. Defining who was or wasn't in the court could be somewhat nebulous but effectively anyone who was in regular - usually daily or nearly daily - contact with the royal family and made their home at the royal court may be considered a member of the court. How many people a court was comprised of could vary widely from a relatively small number into the thousands depending on the size and power of a kingdom. Being a member of the court did not mean having rank in it, however. Having rank within a court meant having a specific title and duty within that court relating to serving the monarch, and the system of rank as one may assume was hierarchical. Certain titles implied a great deal more power and influence than others, and some positions, like master huntsman or master falconer, where usually held by members of the nobility (C & MH, 2014). To quote the article 'Officers and Servants in a Medieval Castle': "The presence of servants of noble birth imposed a social hierarchy on the household that went parallel to the hierarchy dictated by function." (C & MH, 2014). This is referencing human royal courts however it applies equally to courts in Fairy; rank in a court is a matter equally of birth and function within the court itself, and everything is a matter of rank. The court would be subdivided into sections by area of function and these in turn would be overseen by one individual and a series of lesser ranking assistants. Lower ranking members may wear the livery of the royal family to indicate specifically who they serve. Sections included the living quarters of the royals, the royal wardrobe, the stables, the kitchen, and hunting; each one was then subdivided sometimes into many smaller parts. The kitchen at large for example had a variety of very specific domains including: cooking area; buttery, pantry, confectionery, cellar, larder, spicery, saucery, scalding-house, and poultry (C & HM, 2014). A scullery maid would not likely interact with the Queen but would report to other lesser kitchen workers who in turn reported to higher ranking kitchen workers and on up the chain of command. Other sections were similarly complex, although how much or little would depend on the overall size of the household and court. If this sounds complicated that's because it is, and no less so for Fairy courts than for human ones. If you want a good illustration of a modern human royal court's officials you can look at the royal court of Norway here. For a good list of medieval ranks and positions there is this article, which I quoted and cited above. We should note that it is called a court for the same reason our modern legal court bears the name - because the royal court was a place where the Queen or King would make laws and give legal judgements. They would also receive tributes and taxes and generally take any actions to govern their country that was necessary. In this sense a royal court is both a collection of people and a place - it is the sum total of those people closest to the monarch but it is also the place that the monarch rules from. A portion of the officials at court would be people whose jobs would be assisting in overseeing the actual running of the country and implementation of the laws and orders of the monarch. This includes the exercise of military power as well as economic, which would be controlled by the monarch but delegated to court officials to actually handle executing. The location may be one set place, may move between several, or may always be changing. The court is, effectively, the center of government for any monarchy. The ruling monarch has a court; the members of their court do not have their own courts because only the ruling monarch has the authority to make governmental decisions, military decisions, and judgements of law. So a Fairy Queen would have her court but her children and other close relatives would not have their own courts unless they are ruling monarchs in their own right of their own territory or have been given specific authority to rule as a representative of the Queen in a different location. In the same way, non-royal nobility do not generally have courts although in some rare cases they might depending on the degree of authority they have over their own territory. Is knights, and I'll be there. What we are seeing described is the Fairy court riding out in procession in groups, with the royalty first, then the queen's ladies-in-waiting, then the more general retinue of servants, then the knights at the rear. This is fully inline with what we might expect of a royal court, although I would imagine other nobles riding along with the king and queen. 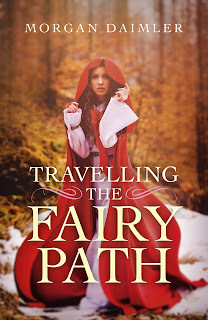 When we see fairy courts portrayed in modern fiction they are often greatly simplified or not well explained which may give people a shallow view of what they are. 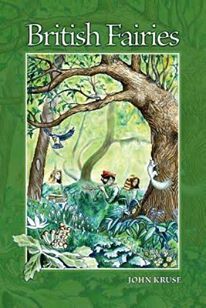 A fairy court, whether that of the Seelie or Unseelie Queen or any of the Irish Fairy monarchs, would be complex and include a variety of beings that were part of the ruler's household, from close family to servants who waited on the royal family, as well as the same range listed above from advisors to huntsmen. These are usually beings who would be in permanent or near permanent attendance on the royal family, with the exception of knights who may be sent out or assigned specific tasks that took them away from the court. Again we can look to Tam Lin as an example of this, as he was a knight within the Queen's court but had been given the task of guarding a specific well in the forest of Carterhaugh. Courtiers, especially nobles, may also spend part of their time away from court, but would generally be expected to spend most of their time attending to the Queen or King. To understand and appreciate the fairy courts we need an understanding of what they are. Human royalty still exists in some places and still has courts, although largely symbolic now, and there is no indication that fairies do not still operate with a monarchy system which would include royal courts. At the least understand that these courts would include the royal household as well as courtiers, and that rank within a court would be an intersecting matter of birth and function. Everyone in a court has a function which ultimately serves the monarch, and the court itself is both representative of the monarch's power and a tool to exercise that power. Hopefully this article has helped provide a very basic understanding of what such a court would consist of and include and roughly how one would function. *courtiers are almost a topic unto themselves to be honest. A courtier was a person who attended the ruler at court and could include members of the nobility, servants, secretaries, merchants, soldiers, clergy, friends of the ruler, lovers, and entertainers. They may or may not hold actual rank in the court depending on a variety of factors. What defined someone as a courtier was the amount of time they spent hanging around the royal court, whether or not they ever actually even interacted with the ruler. Thoms, W., (1884) The Book of the Court: Exhibiting the History, Duties, and Privileges of the English Nobility and Gentry. 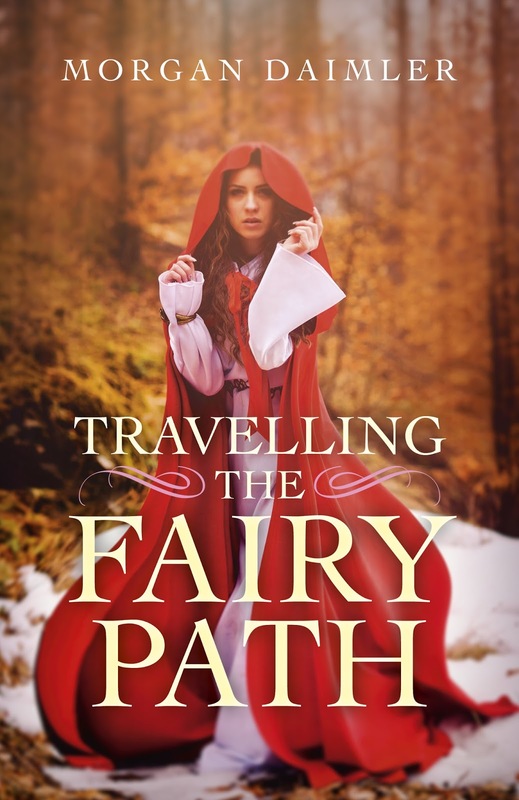 The following article is an excerpt from my forthcoming book 'Travelling the Fairy Path'. It looks at material from the ballad 'The Elfin Knight' and what we may learn from it as people interested in fairylore. 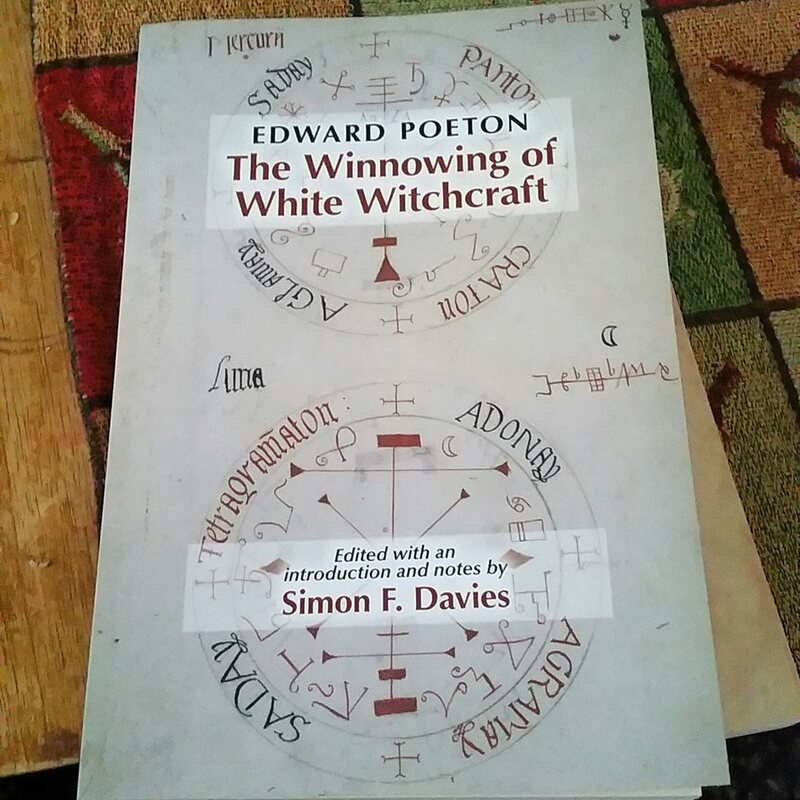 I find it particularly valuable in what it may teach is about the importance of consent for witches when dealing with the Fair Folk in certain situations, particularly sexual ones. We see themes of such compulsion appearing in some of the stories we have in folklore, most often relating to female fairies like the selkie brides, so I thought this example of a human woman or girl compelling a male fairy was a good example to use here. In the context of the book it appears in a chapter discussing the ballad material more generally and what we can learn by analyzing it. Much of the book itself is focused on more practical and experimental material; this is the most academic chapter but I think offers a nice balance with the more practical and philosophical parts. This ballad is more familiar to most people in its later song form as ‘Scarborough Fair’ but in this older ballad the context is clearly supernatural. Later versions slowly lose this aspect and become a simpler song: in one example, variant I, about a woman trying to avoid marriage to an older man, and in others of one lover asking a person to remind another of them and ask them to complete impossible tasks. In the older versions the supernatural is clearly on display, telling the tale of a woman who wishes for an Elf Knight as her true love, and he responds by giving her a series of seemingly impossible tasks to complete to win him. She in turn gives him a series of equally impossible tasks to earn her as his wife. Below I will include one of the oldest versions which dates to 1670 (Caffrey, 2002). Then I’ll discuss some of the variations; as with many of the ballads there are multiple versions and some have significant differences. My plaid shall not be blown away. He blows his horn both loud and shrill. Yes and the Knight in my arms next! Than the Knight came to her bed. A courtesy you must do for me. Without any cut or seem’, said he. Another you must do for me. Which lays low by yonder sea shore. And you must sow it with pepper corn. This is a complex ballad and one that stands in stark contrast to others like Tam Lin and Lady Isabel and the Elf Knight. Like the latter though we see this one beginning with a young woman hearing an Elfin Knight blowing his horn and wishing aloud that she had him for her own, and like ‘Lady Isabel’ the elf seems compelled to immediately respond by going her. He does not seem to want to do this and we can gather his reluctance since his first comment is that she is too young for him, which she counters by saying that her younger sister was just married. In most versions the girl’s age is unspecified although she does seem to at least be of marriageable age; only in version D is her age given as the very young 9 years old and we may interpret his challenge to her there as a way to put her off until she’s older. In version A the Elf Knight says not only that she is too young but that ‘married with me you ill would be’ and in version C he asks her ‘Are you not over young a maid; with only young men down to lay?’ (Child, 1898). When she insists despite his concern over her age that she is acceptable – by referring to the marriage of her younger sister – he issues her a challenge, more kindly worded in version B above and more bluntly said in C ‘married with me you shall never be; until you make me a shirt without a seam [etc.,]’. In both of these we see the key to the additions being the idea of washing the shirt in water that is not ordinary water and drying it on an ancient thorn tree that has either never flowered or never seen the sun for as long as humans have existed. The girl responds to these challenges with a set of her own which in most versions are more complex than what she has been asked to do and involve plowing, planting, harvesting and preparing an acre of land in ways that are just as impossible as the shirt she has been asked to make. In some versions the land is said to ‘lay low by yonder sea strand’ but in some others it is specifically ‘between the sea and the sand’ (Child, 1898). We may perhaps assume the challenges are more difficult and numerous because the Elfin Knight is assumed to have a greater ability to achieve the impossible tasks than the girl is. In the later variations the ballad ends with the young woman telling the Knight that when he has completed his task and is ready to present the literal fruit (or at least grain) of his labor he can return for his shirt. However in the two earlier versions, A and B, the woman responding with challenges of her own seems to free the elf of the compulsion he was under (or at least a portion of it), as he replies to her telling him when to come for the shirt by saying he won’t ‘abandon his plaid for his life; it covers his seven children and his wife’. In other words he doesn’t want to give up his own bed and family for this young woman. She at least has the good grace then to reply that she will keep her virginity and he can do as he will, certainly setting him completely free at that point. There are also variations of the refrain which is presented here in the oldest form of ‘ba ba ba lillie ba; the wind has blown my plaid away’ which is found in variants A and B; versions C, D and E are fairly similar with the second line saying ‘and the wind has blown my plaid away’ but the first line varies from ‘over the hills and far away’ to ‘blow, blow, blow wind blow’ except version E which uses the opening line of the refrain from versions A and B. the refrain for version F is ‘sober and grave grows merry in time; once she was a true love of mine’ and marks the first version with no mention of the Elfin Knight. G introduces the famous lines ‘Parsley, sage, rosemary, and thyme; and you shall be a true lover of mine’ and H blends the previous two giving us ‘every rose grows merrier with thyme; and then you will be a true lover of mine’. I returns to the older version with ‘Hee ba and balou ba’ as the beginning but the reference to the wind blowing away the plaid to finish; J uses nonsense words. K’s refrain is ‘Sing ivy, sing ivy; sing holly, go whistle and ivy’ while L uses the variant ‘Sing ivy, sing ivy; sing green bush, ivy and holly’; finally M returns to a version of ‘Every rose springs merry in its time; and she longed to be a true lover of mine’. It is likely that the earliest refrains which rely on references to the wind blowing away the plaid are symbolic and that the plaid in this case was meant to represent either a loss of innocence or security. Caffrey in his article ‘The Elfin Knight Child #2: Impossible Tasks and Impossible Love’ suggests that the plaid is meant to have sexual connotations and that is certainly likely throughout the ballad. The other versions of the refrain include a selection of herbs: ivy, holly, rose, parsley, sage, rosemary, and thyme. Ivy was used in love magic and had protective qualities; holly is favored by fairies and also has protective qualities but interestingly was known as a plant that protected the heart against love (MacCoitir, 2006; MacCoitir, 2003). Rose not surprisingly has a long history as a symbol of love and also of beauty. Parsley is associated with lust and fertility; sage for fulfilling wishes; rosemary for love and lust; and thyme for love and attraction (Cunningham, 1985). All of these plants then have significance relating to the meaning of the ballad itself and for our purposes should be considered in the use of magic relating to working with or drawing the Fair Folk or love magic generally. I think we can see from this that it is possible for a person to compel a Fairy being, particularly an Elfin Knight, if they hear his horn being blow and wish for him in that moment. However I think that this ballad along with ...‘Lady Isabel and the Elf Knight’ make it clear that it may be either unwise or dangerous to make such a wish. You may get what you wish for but in one case the result is a homicidal lover, while in the other it is a deeply reluctant one. Many of us may wish we had an Otherworldly lover or spouse but these ballads show us that forcing Fairy beings into these relationships does not work out well. 7A plaid is a length of cloth that can be worn as mantle but also serves as a bedcovering. In this context I might suggest the bedcovering meaning is intended although one might also see it as applying to a mantle being worn. 8In this version as well note that she does not claim that she has a younger sister who is already married but that she ‘has a sister eleven years old; and she to the young men’s bed has made bold’. This does not seem to be a persuasive argument for the Elf Knight however who continues to put her off.